The United States Men’s National Team was in action tonight against Ecuador. And while an international friendly on the opening night of March Madness is probably not incredibly high on the priority list for a lot of American viewers, it was a chance to get a look at new USMNT manager Gregg Berhalter’s first match with something approximating his first-choice roster. For anyone who did tune in, they saw a young American roster dictate most of the action, though the match was scoreless through 80 minutes. Seeing a keeper helplessly stumbling backwards after a slowly looping ball is never not funny. 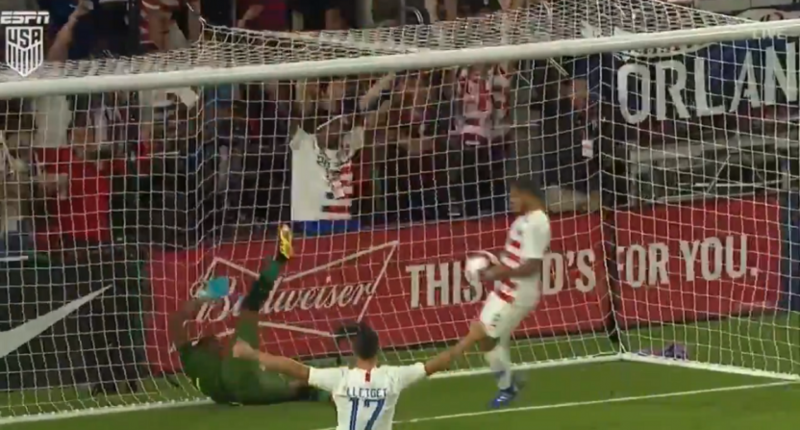 Also, DeAndre Yedlin jogging into goal and openly laughing as the keeper struggles to extract himself from the net is some solid trolling. The United States hung on to win 1-0, though it must be said that for the most part Ecuador looked very uninterested in scoring for the final fifteen minutes of the match, kicking it back and forth in their own half for long stretches. Not that we’re saying anything shady was happening, but, well, it was bad. Regardless, a win is a win, and the United States has Chile up next in what looks on paper to be a tougher test.